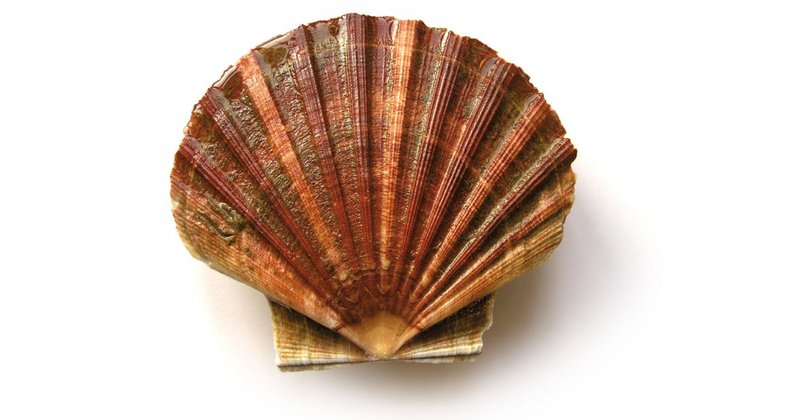 Scallop are a costly but popular shellfish enjoyed the world over. The white meat found inside the shell is called the ‘scallop’ while the brightly coloured roe is often referred to as the ‘coral’. Where do you find scallops? The cold water shellfish can be found the world over and are often sold pre prepared with just the meat, the shellfish can also be sold whole. In the UK scallops are mainly sourced from Cornwall, Scotland and the Isle of Man. Throughout the UK and Australia they can be bought both with and without the coral. British shores are awash with premium scallops. As the hand dived variety are of a higher quality they tend to be the more expensive then ones that are dredged. This is due to hand dived scallops being a more sustainable method of catching the crustacean and it will be firmer and sweeter in taste. How do you prepare and cook scallops? Scallops can be pretty tricky to cook, to get the meat out the shells need prising apart using a shucking knife while the muscle, skirt and black stomach sack can be discarded. They will then need rinsing to wash off any sand or grit. Once they have been shucked scallops can be enjoyed pan fried, steamed or poached within a matter of minutes. If you choose to bake scallops they can take a little longer. Searing or pan frying tend to be the more popular methods of cooking as it adds colour without cooking them. A general rule of thumb when cooking scallops is two minutes on one side and anything from 10 seconds to two minutes on the other. You’re looking for a springy consistently. If mushy they’re undercooked and if they’re firm this means they’ve been overcooked. How do you eat scallops? There are a number of ways scallops can be enjoyed the world over. In Spain scallops are baked with bread crumbs, ham, and onions whilst in Japan they can be served in a soup or prepared as sashimi or sushi. Smoked scallops can also be served as appetisers or as an ingredient served with an appetiser.